In most countries where avalanche accidents occur the conclusion is that education to prevent tragic accidents is the key. In Scotland you pay to get such training and even if its a token sum its been subsidised by goodwill in time and loaned equipment for the avalanche training, or you rely on the good will of sponsors, trusts or companies who have to be asked to help. 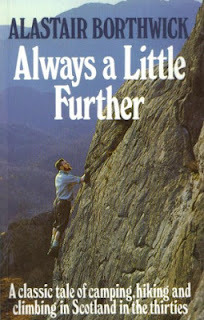 In the current economic downturn thats getting harder to keep up. Mountain safety budgets are almost non existant so winter lecture series become unviable and lecturers most often professionals need paid something and often travel long ways to give talks. Three years ago Anatom Ltd/BCA were kind enough to donate free to Nevis Range and Glencoe Mountain the electronics for avalanche training parks, and the ski areas donated a patch of ground to use. This year after writing many letters I finally nailed down funding from a small trust called "The Mill Cottage Trust" to replace the Glencoe park with a new (still in development) wireless beacon park that also can be used for Recco (another search system) for training. Basically though there is no money to take these things forward. I can't even raise £300 to get signs made for these parks, or simple aids that can be put out like "Beacon Checkers" for out of bounds skiers. Maybe even at key outside locations avalanche bulleting boards as there used to be in Glencoe. The was no ignoring the bright pink signs saying "Avalanche" when Hamish had Willie Elliot put them out. Scottish MR earns and deserves every penny and more of it's £250,000 funding from the Scottish government. 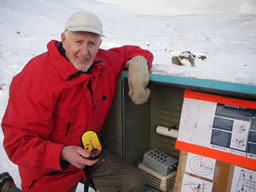 The SAIS is a World class avalanche reporting service financed by the Scottish government. But who has secure funding for avalanche education? The answer is simple - no one. We have superb forecasting which plays a huge part, and a superb voluntary (and RAF mountain rescue service) as well as ski patrols who are often ignored yet play a big part in keeping the public safe in the over the back climbing areas such as Nevis Range and Glencoe. Surely we should complete the circle and get back to trying to prevent avalanche tragedies. It's a terrible analogy I know, and I hope it's taken the right way; funding the undertakers is a sign of failure when we should be curing the illness. What I really mean is that investment in mountain safety preventing avalanche tragedies gets forgotten in the rush to do something. The MC of S and Snowsport Scotland certainly do a lot, but I bet they could do more if they could fund more. Education and training is the key surely. It certainly won't stop tragedies entirely, but if it even prevents one future avalanche disaster as big as last weekends, then it's worth it. I guess its all a bit close to me now hence the rant as Chris Bell was a guy I liked even though he could whip me everytime in race. I have been asked to give two Avalanche safety talks in the next month and will dedicate them to this fine young man who along with these other bright young folks lost there lives. I guess I better get back to scrounging for beacon park signs and stuff to keep them viable. I have no budget! The Backcountry Access Float 32 is designed for pros, guides, and dedicated backcountry skiing and snowboarding junkies carrying the full quiver of essentials. 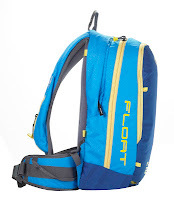 The Float 32 will carry all your common winter backcountry tools while supplying ample space for a first-aid kit, glacier travel equipment, and even supplies for extended multi-day trips. 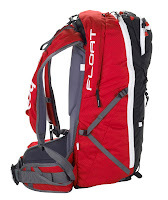 The trigger can be set in either the left or right shoulder strap, is hydration compatible, and the airbag system is removable, making it the most versatile airbag backpack on the market. The Backcountry Access Float 22 is designed for out-of-bounds, off-piste, freeride and mechanized skiing and snowboarding. Creating buoyancy and helping you float to the surface, the 150-liter airbag not only decreases your burial depth but also protects your head and neck from trauma in an avalanche. The lightest and most affordable airbag backpack available, the Float 22 will easily carry your winter rescue tools, lunch, water, and extra layer for a full day in the backcountry. New for the 2012/2013 season, BCA's Float system is now removable and interchangeable between packs. BCA's 165 authorized refill locations around the world make it the easiest refillable airbag system on the market. Be in no doubt airbags are lifesavers hugely increasing your chance of surviving an avalanche by keeping you on the surface. The big advantage of the BCA system is using compressed air to inflate the bag and ease of refill through a local refill centre. Many other manufacturers are moving to compressed air systems, but unlike BCA they do not ship refillable cylinders to the UK market only north America. However, should you have a refillable air cylinder regardless of make I will fill it for you. Please replace your "O" rings using the supplied kit. For Anatom/Crankitupgear customers a refill only with "O" ring replaced will be only £5. £10 if we have to replace the "O" ring. All other customers £10 a refill. It's always worth a trial pop of your bag to get a feel for the trigger and importantly for learning to re-pack the air bag. If you want a good Beacon then the DTS 2 is the one for you. North America's best-selling avalanche transceiver. 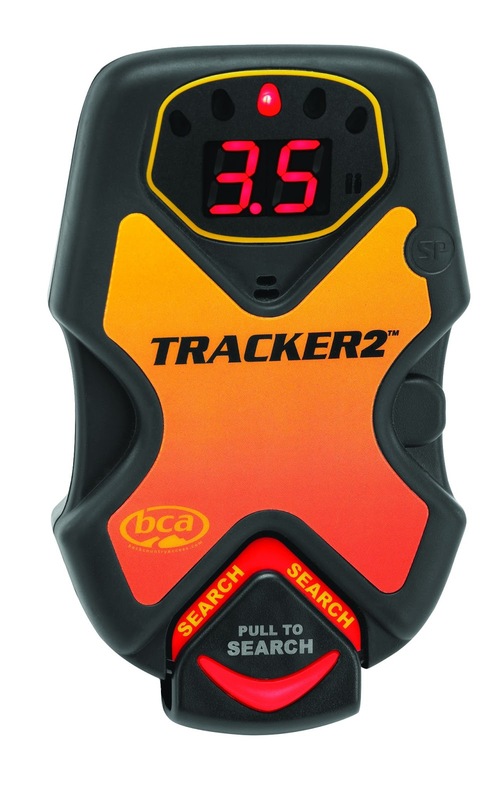 BCA's Tracker2 offers the industry's fastest, most precise pinpointing, with triple receive antenna, instantaneous real-time display, and the same easy-to-use interface as the Tracker DTS. An intuitive mechanical search/transmit switch makes it easy to use right "out of the box." Thinner profile and harness than the Tracker DTS. This beacon includes Special Mode and multiple burial indicator lights. Avoiding Avalanches is always a better idea. Clachaig Inn have gained sponsorship for four winter safety lectures through Febuary 2013. Well worth attending. If you require some on snow training at one of the Anatom/BCA Beacon parks at Nevis Range or Glencoe, or snow safety training in Scotland then give me a call on the numbers above or email. Internationally go to the BCA educators list at www.backcountryaccess.com educators where you will also see me listed. My lecture for the 19th Feb is on avalanche avoidance and companion rescue and called "Snap, Crackle and Pop". Come and have a beer. Jimmy Saville is becoming more of a nuisance in death than he could be at times in life. Don't get me wrong, whenever he was on his own wandering about the area he was very personable and good conversation, however a complete pain if there were other folk about to show off to. My girls didn't like him and would walk the other way if he was about, and as it turns out their instincts were right. In old fashioned terms it seems he was a groper in his youth or much worse, and a bit of dirty old man when old. Regardless, folk in the community knew nothing of any past allegations at the BBC and like any guest in the area he was given a welcome, and folk would take time to chat and have a coffee with him. I would say that many of us thought he might have been a bit gay as he always seemed to have a couple of male friends with him and there were never females about either at the cottage or in his company. Only when HRH the Duke of Rothsay visited and a possy of local women dressed up as bunny girls was I ever aware of a woman being at the cottage as pictures were in the papers. Given the loction of his cottage unless he was accosting women from passing citylink buses or kidnapping them in his midget Toyota van then it's hard to understand the hype about the cottage having been used for any abuse, but not having all the facts this may be totally wrong. It would indeed be a terrible thing if this had happened here. There has been talk off pulling down the cottage at Allt na Reigh. Before Jimmy Saville, Jane Naismith and her partner owned the cottage and used it as a holiday home for climbing trips throughout the 1970's/80's/90's. Before that, until about 1974 Hamish MacInnes owned the cottage using its outbuildings for making ice axes and the famous MacInnes rescue stretchers. Going back further when this was a road mans house, this was the famous Downies place with "Downies Barn". Immortalised by Alastair Borthwick in his book on inter war hardship and exploratory climbing by the impoverished youth of Clydebank and the inner city. "Always a Little Further" is a great read about the poorer non middle class SMC type of mountaineer, a dosser with no money and little time, but a huge spirit. These "road mans" houses are dotted all along the old A82 with most of them now climbing huts such as Lagangarbh and Blackrock. 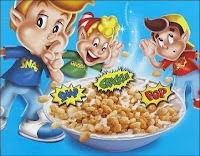 Lagangarbh was equally famous. "Dan Mackays Barn" was the doss round the back. Both Dans and Downies barns were full of hay as the roadmen were paid a stipend for road maintenance such as filling in holes and keeping culverts clear by the then Argyll County Council, and were corfter/hill farmers wth a few sheep and some cattle. 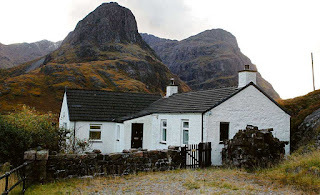 The point here is that these cottages were family homes and also places of highland hospitality and safety for a generation of war weary, penniless folk seeking the spirit of the mountains. I know more of the Downies as "Rob" (pronounced "Rop" in the gaelic) moved with his family down to Glencoe village when he retired, staying in a council house at Lorn Drive. Like many old men he had fought in WW1. The Downie sisters all married and their sons and daughters are now Macolls and Kemps. As a kid with Duncan Downie one of "Rops" grandchildren I used to go to Allt na Reigh and fish for trout in the gorge below the house often with stern warnings from his grandmother about its dangers and tales of broken climbers. Really what I am saying here is that Jimmy Saville is a small piece of that buildings history. Very small and insignificant. If this thing with Jimmy Saville teaches us anything it's that fame and money are nothing. What the Downies and Borthwicks teach us is that kindness, an open heart and being your brothers keeper lives on longer than some blinged up tv personality, and that Allt na Reigh should stay where it is because of them and to despite him.